Ordinarily, Chief Justice of India Dipak Misra said, there should not be a difference of opinion between the Council of Ministers and the Lieutenant Governor if the decision is within the parameters of constitutional sanctions. 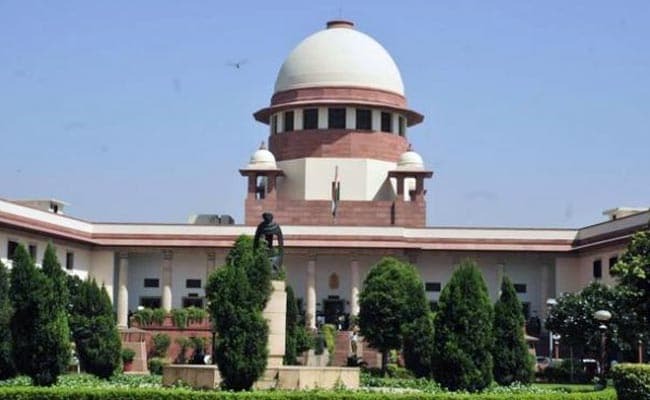 New Delhi: Delhi's Lieutenant Governor can differ with the elected government on matters of policy but these differences "must be established through cogent reasons and not just for the sake of difference", a five judge bench of the Supreme Court observed on Wednesday. The constitution bench is hearing petitions by the Aam Aadmi Party government that blame the Centre and Lieutenant Governor of misinterpreting the Constitution to encroach on the powers of the elected government. "Responsibilities of the LG are not absolute and if you want to say 'no' to a policy matter, then please send it to the President," the court noted in its tentative views after hearing Gopal Subramanium who is representing the Delhi government. This was the third day of Mr Subramanium presenting his arguments and the court's observations are a response to the points put forth by him. The court hasn't heard the other side, the central government with who the Arvind Kejriwal government has been locked in a bitter tussle of power to govern the national capital. But if there were, the top judge gave an illustration how the two sides could handle the situation. Suppose, the Chief Justice of India said, the Delhi government wanted to construct 2,000 night shelters for people this winter and the Lieutenant Governor had reservations. He could advise the government to build 500 shelters and refer the decision to build 2,000 to the President for a final view. Mr Subramanium stressed the aid and advice of the Council of Ministers was binding on the Lieutenant Governor and it would be meaningless to say it is not binding, His contention was that the Lieutenant Governor could only interfere if the government encroached upon the executive powers of the Union Government. Former Union Minister P Chidambaram, who is representing the Delhi Government, initiated his arguments saying any interpretation of the Constitution which will limit democracy should be rejected by the apex court. "What the High Court has done is upside down and made the LG as the administrative head. It has made the LG as the 'Viceroy of British Crown'. He is only an agent of the President till the President deems him fit," Chidambaram said. He said the Lieutenant Governor has the extension of President's power but cannot exercise all the powers of the President, according to news agency Press Trust of India.